I'm not real sure how the .912's operate. I wish I could get a good look at one and do some tests to get a better understanding. This is a great thread. I've been considering doing this mod to my car. However, I spoke with Oliver at Speedtuning today and he said that they now offer an "EGR Kill" ECU tune for $50. I'll be going with this instead of messing with all the wires and such. Thanks to all who have put so much work into this modification. Last edited by EDBSO; 12-03-2010 at 04:09 PM. You are best to get in a garage at more favorable temperatures or wait until spring. With clear directions I did the EGR delete this afternoon and no check engine light after a circuit around the block. Last edited by EDBSO; 12-03-2010 at 04:19 PM. I know it has been a while since this thread was hot, but, I am working on this mod today. My question, is, after doing the diode & resistor mod, do I still need to install a blocking plate on the EGR? Should I remove the little piston inside the EGR housing? 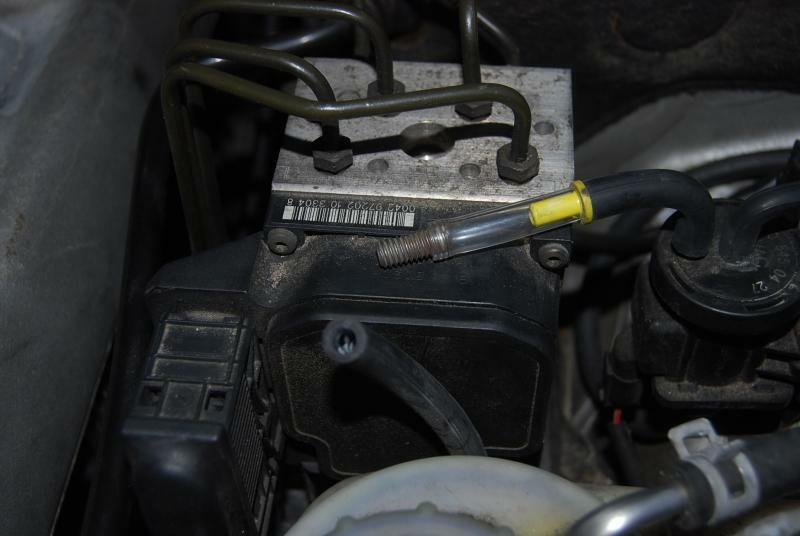 Do I plug up the vacum lines coming off the transducer and the other vacum line that is attached to the EGR? On the non-turbo 606, which I believe has a similar EGR system, I removed the flap in the EGR body and disconnected all the vacuum connections. The flap in mine was attached to its axle by a pair of Phillips screws; I think this part was easier with the EGR body removed from the engine. The idle state of the EGR is zero exhaust recirc, so with no vacuum anywhere the exhaust valve should stay closed all the time. I actually went so far as to remove all EGR vacuum tubing all the way back to the vac pump, because none of it serves any other purpose. Check the vacuum diagram for your engine to see if that's the case in the turbo as well. If your state's inspection doesn't require emissions test for diesels, you can block the EGR port on the exhaust manifold and remove the whole thing, EGR body, valve, and vacuum actuators, and replace the EGR body with a rubber coupler or some intake tubing. Saves a little weight, reduces intake turbulence, and removes some unnecessary clutter from your engine bay. There's no place to put a blocking plate per se on the '98-'99 cars. Simply remove the vacuum line from the transducer to the EGR mixing chamber and cap the remaining open port on the transducer. without vacuum running to it, the egr will stay closed, just the way you want it. There should be 2 vacuum lines leading to the EGR mixing chamber - one to the diaphram that operates the valve and the other sends manifold pressure to the MAP sensor. Pull and cap the line going to the EGR diaphram (as you did) and leave the electrical connection connected to the transducer.